Ergonomically designed, the wishbone shape forces the school taught "tripod" pencil grasp position while minimizing grip pressure. Designed to fit smaller hands it never needs sharpening...simply twist the tip to expose more 2 mm thick pencil lead! 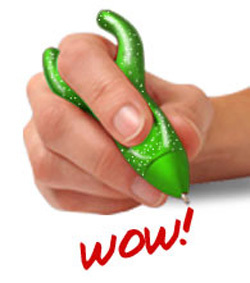 The unusual, curvy design and fun colors will make your kids want to pick up and write or doodle! Strengthen your hands and provide calming sensory input using this discrete little hand exerciser. 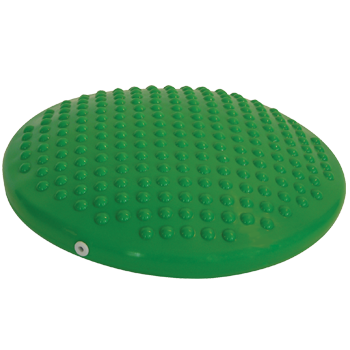 This ball has molded in feet to prevent the ball from rolling when used as a sitting ball or when you stand up. Classic triangular grip for larger pens and pencils. The Pencil Grip Kit provides a great selection of the pencil grips we carry.